Meg, thank you again for allowing me to attempt to not bore your readers with a daddy travel post. The kid and I took a road trip to Colorado recently from our happy home in Florida. Well, happy home as always with us, but Florida can be a little hot this time of year. So, going to a place that is around 65 degrees at night is a treat. 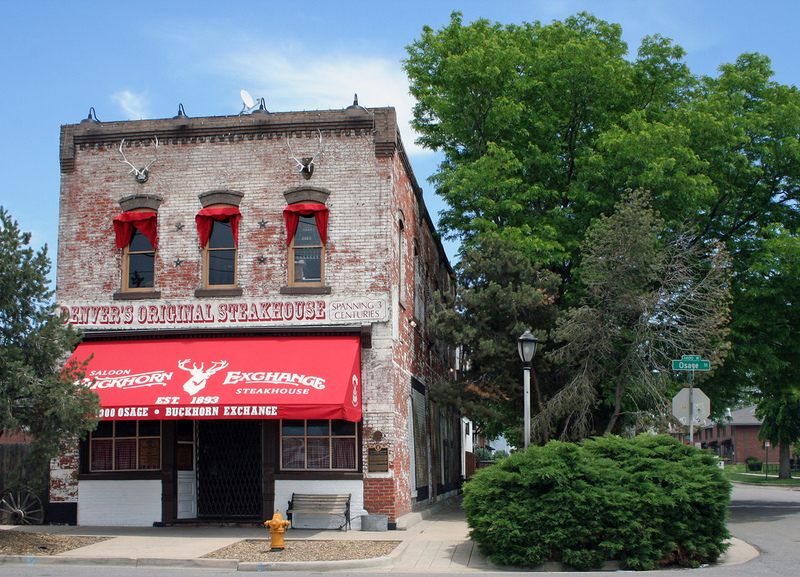 A friend recommended Buckhorn Exchange, and as the kid likes all things Wild West, we decided to go. Now, he is under one year old so I assume this simply by his enjoyment of cowboy figurines. Buckhorn was awesome. I read that it was founded in 1893 and is the oldest restaurant in Denver. It sits right on a railroad line. I smiled to myself at the buffalo and elk steaks and tried something else. Mostly I loved to bring the kid to a place that was truly authentic. From the small rooms, to stuffed mountain lions on the walls, to framed historic photos, to historical figures like Lincoln it is an immediate immersion into the past. I would not visit Denver without coming here, it is truly a landmark. Not only do you eat, but you learn, and that is always important with the kid. Get reservations as it can be busy.